﻿ Times.am | Armenian newspaper today: which forces will become coalition member? Armenian newspaper today: which forces will become coalition member? “168 hours” writes that chairman of the “Armenian Union of the three-size modulators” Gurgen Paronyan announced that his company joints the announcement which was done by the Union of Information Technological companies on May 11. The announcement claims to create a Ministry of Information Technologies and Innovation Developments. According to the newspaper the Government supports this idea. It is possible some changes will be done in the Government as a result of the coalition between RPA and “Prosperous Armenia”. So may be some new Ministries will be created. So this idea may be presented “as a claim the society to create a new Ministry”. According to “Yerkir” newspaper Armenian Republican Party (RPA) now prepares the final image of the list and will present a new “collective” to the Central Electoral Committee. “Now 69 deputies have refused their mandates so members of the RPA list till 109th number will enter to the Parliament. But still there are three deputies whose fate is unknown. Samvel Nikoyan’s, Gagik Beglaryan’s and Levon Mnatsakanyan’s issues will be known till Thursday”, the newspaper writes. “Irates de facto” writes that it will be known on coming days which political forces are going to create a new coalition. And till that time comes all political forces “are endangered” to enter to the coalition. According to the newspaper now active negotiations are held with the leaders of Armenian Revolutionary Federation (ARF) and “Heritage” party. As “Zhokhovurd” writes referring to its well-informed sources that the authorities do not manage to agree about the coalition with no one political force yet. 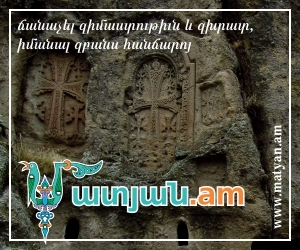 According to the newspaper “Prosperous Armenia” agreed to become a part of the coalition if S. Sargsyan agrees to nominate their wanted Prime Minister.